Advice doesn’t come in a box, it comes from Valve and Process Solutions. Challenge us to solve a problem, whether it’s a single valve or an entire process. Drop us a line or pick up the phone: we deal with all enquiries and requests for advice on a case by case basis so you get the right solution for your application or project. Get bespoke advice you can trust because our team of engineers have in-depth product knowledge and unrivalled experience in real-world solutions. Couple that with friendly and professional service and access to valves and actuators from world-class manufacturers and you get a winning combination. We supply individual products and build ready-to-use, combination solutions to YOUR specifications. 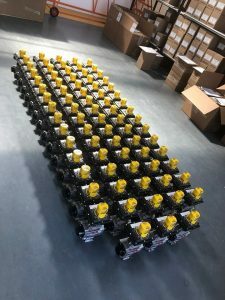 For Valves, Actuators and Switchboxes, spare parts and ancillary products: when your VPS box arrives, you know it will be right. Just like the global manufacturers which trust us to deliver results for our end clients, you can depend on VPS for in-depth product knowledge, tailor made services and all the quality you will ever need. For the right parts, on time and every time and advice you can depend on.